The year 2018 marks the 75th anniversary of Metrohm – 75 years ago, Bertold Suhner, a young and bright engineer, laid the groundwork for the innovative company that Metrohm is today. To honor this spirit of innovation and its potential to shape the world, we would like to reward bright young minds like you: Show the world what great ideas you’ve got! Win a cash price of 100,000 THB. Are you an undergraduate, graduate, post-grad or doctorate student? 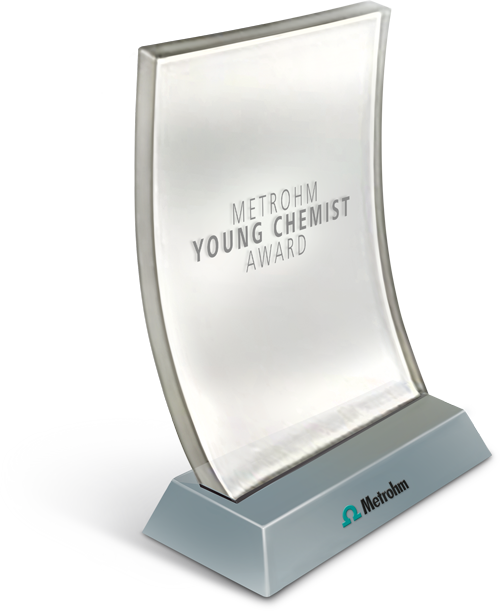 Apply for the Metrohm Siam Young Chemist Award today! Submit your abstract to Metrohm Siam Ltd. if you live and study in Thailand, Myanmar, Laos or Cambodia. The winner of the Metrohm Young Chemist Award will automatically participate in the International Metrohm Young Chemist Award 2018. Submit your abstract now (at the latest by 31 July 2018) online using the link at the end of this page. This contest is open to undergraduate, graduate, post-graduate, or PhD students, enrolled at an academic institution located in Thailand, Myanmar, Laos and Cambodia at the time of submission. Your work must demonstrate novel research or an innovative approach to the applications of titration, ion chromatography, spectroscopy, and/or electrochemistry, and must be substantially complete by the date of submission. An abstract of your work, written in English, must be submitted online to Metrohm Siam with detailed contact information, and received by 31 July 2018. Metrohm Siam is not responsible for any costs or difficulties in transmitting entries. An objective panel constituted by experts from the Chemical Society of Thailand and application specialists from Metrohm Siam, whose decision is final and binding, will choose the winners by 30 September 2018. Metrohm Siam will alert the winner by phone or email, as provided by the entrant at the time of abstract submission. Residency required: eligible contestants must reside in one of the above countries at the time of submission and through to September 2018. The winners of the regional awards will be announced in September 2018. The winners will present their work at the Pure and Applied Chemistry International Conference PACCON 2019, and be celebrated on a special occasion in the context of this event. Should a winner not agree to fulfil these presentation obligations, he/she therefore forfeits eligibility and a new winner will be chosen. automatically participate in the International Metrohm Young Chemist Award 2018, where a jury at Metrohm International Headquarters in Switzerland will select three of them. These three selected winners will be invited to Metrohm International Headquarters in Switzerland. To this end, Metrohm International Headquarters will provide the three winners with transportation to and lodging at Metrohm International Headquarters; costs for any travel companion(s) and all incidentals (as well as award taxes) are the responsibility of the winners. This contest is not open to any Metrohm employees, nor to family members or affiliates of Metrohm employees. Metrohm is solely responsible for this contest and award. A list of winners will be available upon written request.